Concrete pump Indonesia has many types for users’ selection, which is mainly used to pump concrete for railway and highway tunnel, diversion tunnel, culvert, mine, and bridge opening, etc, including water conservancy project, water-power engineering, slope support, underground construction, basic filling engineering and casting of structural columns. 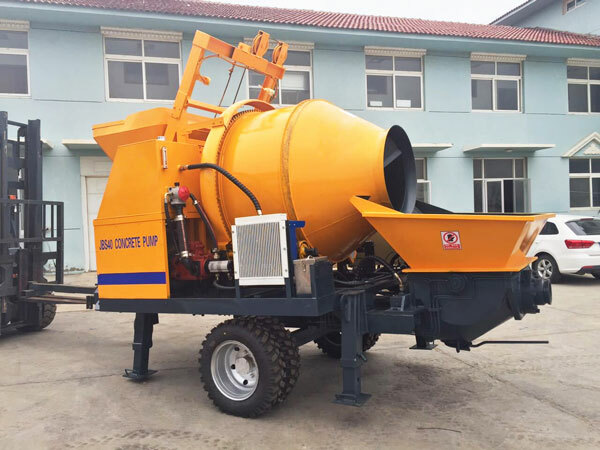 Pompa beton Indonesia mainly has diesel type and electric type, in addition, if you want to finish your project quickly, you also can choose a concrete mixer pump Indonesia. 1. Hydraulic system. 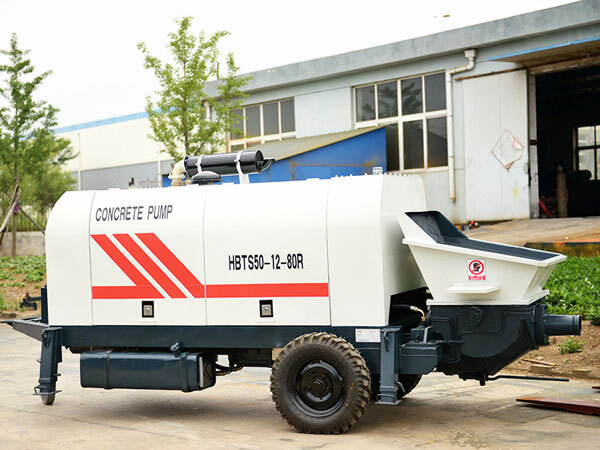 Our concrete pump adopts double pump, double circuit open hydraulic system, main pump is with constant power control, tablet cutting device, and let main pump obtain multilevel reliable protection; main oil pump and S valve are independent, can achieve reliable working and smooth commutation. 2. High flow gear pump. Our high flow gear pump cam provide S valve with pressure oil, has functions of automatic regulation of pressure flow, which is easy to maintain. This process will produce low noise. 3. Electrical system of Indonesia concrete pump adopts programmable logic controller to control the whole machine. 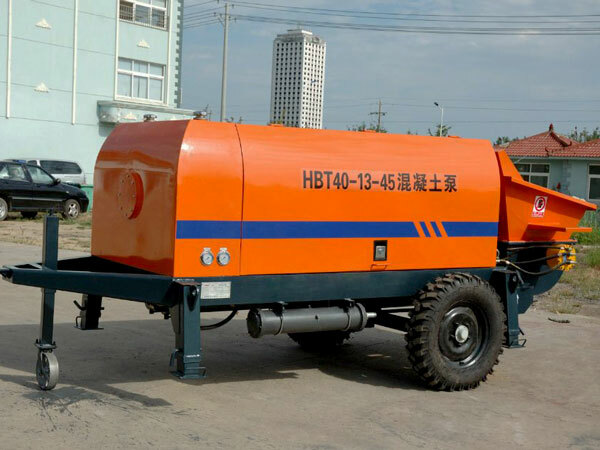 Electrical element adopts original imported parts, can achieve reliable working, easy trouble removal and our diesel engine is equipped with auto-throttle. 1. Users can’t change the pressure of each relief valve in hydraulic system. 2. 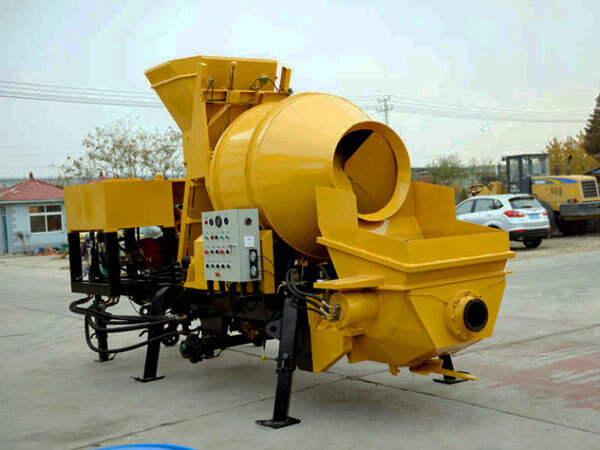 If you use pompa beton portable in cold winter, it is necessary to do some antifreezing measures. if you use it in hot summer, you need to prevent the oil temperature is to high, when the temperature reaches up to 70 degree centigrade, should stop working and take measures to cool down it. 3. 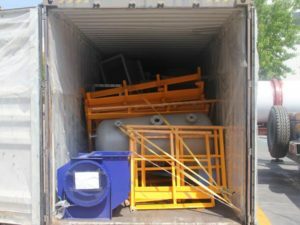 After the concrete pumping, you should clean out the hopper, S valve, concrete cylinder, delivery pipe. At the end of cleaning, should release the accumulator pressure and power down. 4. 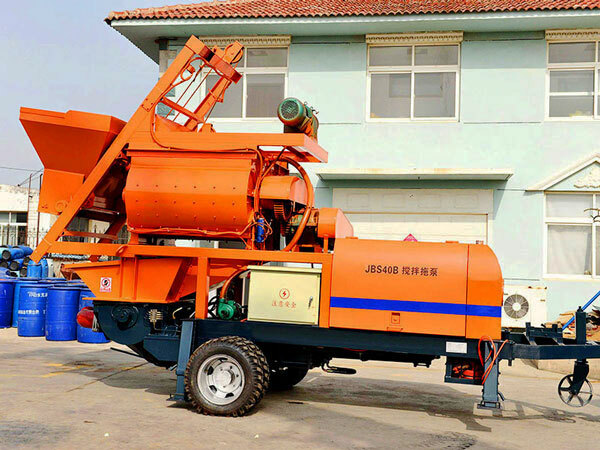 When the mobil pompa beton is done, operator should do reverse pumping for several times to reduce the pressure in delivery pipeline and so as not to cause accident. 5. After pumping operation, when you transfer pump legs, should first withdraw the back leg, put down the supporting wheel and then withdraw the front legs. 6. Operator should record the working condition according to the requirement. 7. There must be a earth leakage circuit-breaker in power supply wiring. Should check whether the electrical element can work normally, whether the cable is broken, and prevent electric shock and death. 1. When operator was installing and designing the pipeline, should avoid 90 degrees or make S valve crooked. 2. The interval time should not be too long. 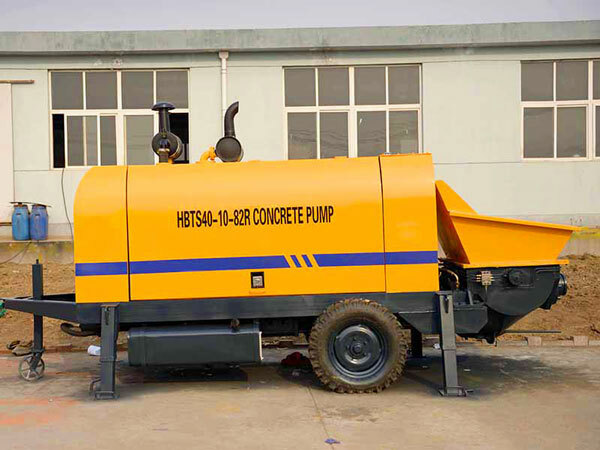 To ensure the continuity of concrete pumping operation and ensure the quality of concrete pouring. 3. 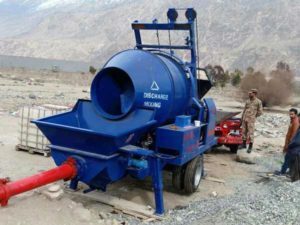 Operator should make sure the the ratio of the maximum particle size of coarse aggregate to the diameter of the conveying pipe. 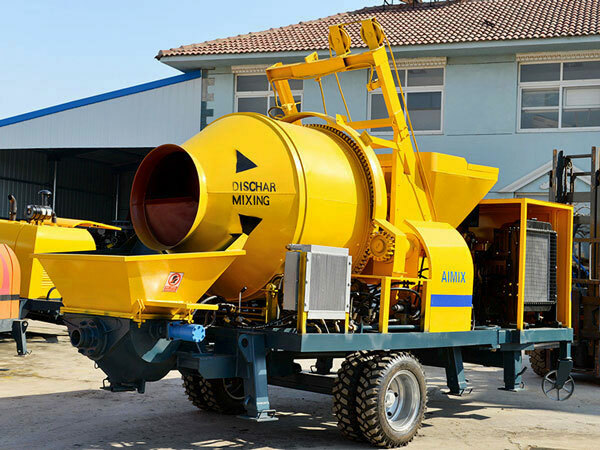 When the pumping height of pompa beton mini is under the 50m, macadam should not bigger than 1:3, pebble should not be bigger than 1:2.5; when the pumping height is 50 to 100m, ratio should be 1:3 to 1:4. when the pumping height is higher than 100m, ratio should be 1:4 to 1:5. if you have some different conditions, you can ask for our engineer and technicians for advice. 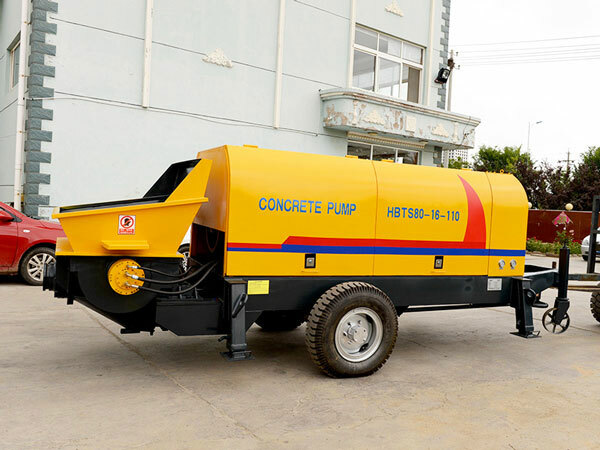 For price of concrete pump Indonesia, we can’t give you specific price, because price will be affected by a lot of factors for our foreign business, so if you want to know price, you can fill in the contact form below, our salesman will tell you our price for each type. 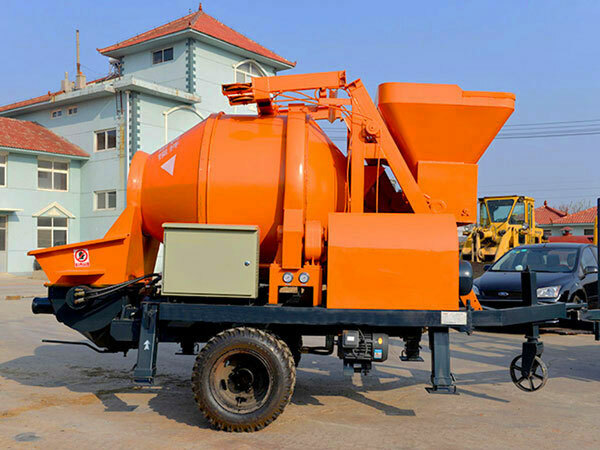 We jual pompa beton mini to many countries, such as, Pakistan, Jordan, Philippines, Russia, Paraguay, Bangladesh, Kazakhstan, Sri Lanka, Uzbekistan, Tajikistan, Uganda, etc. 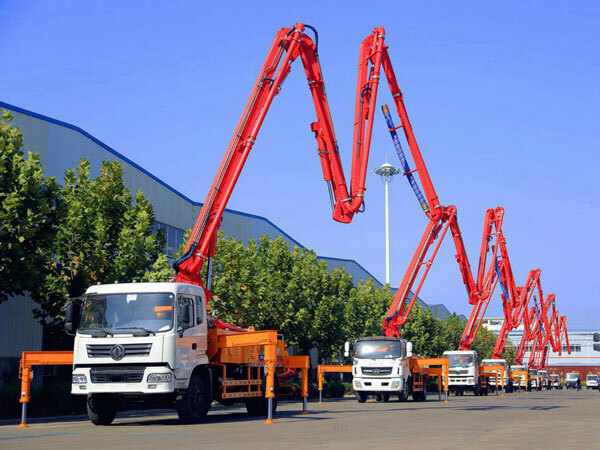 Also, we have set up several oversea office in Pakistan, Philippines, Uzbekistan, Sri Lanka, we will give you best harga concrete pump truck. Contact us now!